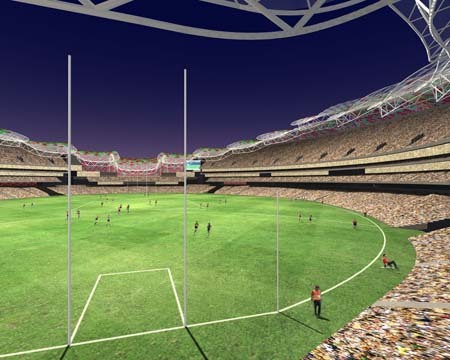 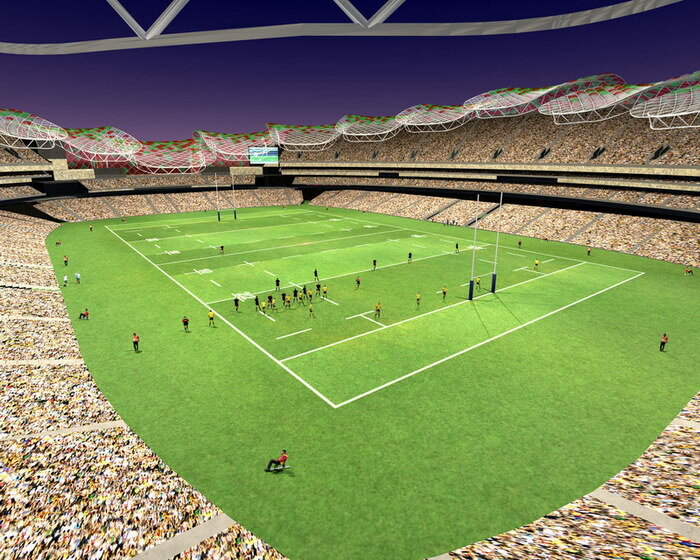 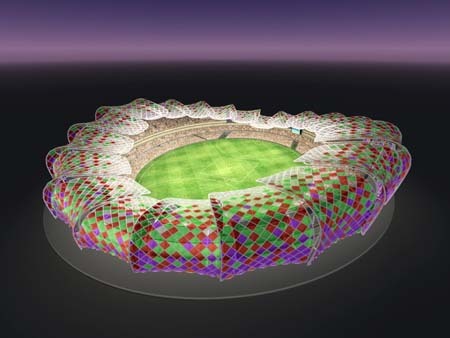 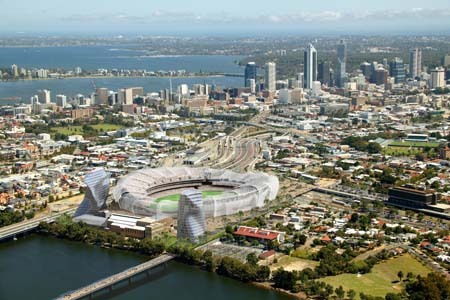 Construction of a new multi-use stadium in Perth was first announced in 2007, along with initial renderings. 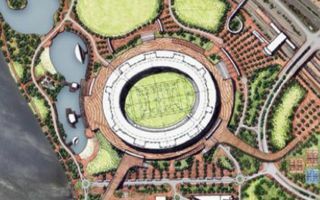 The project suffered to numerous delays, however, partly due to debated location. 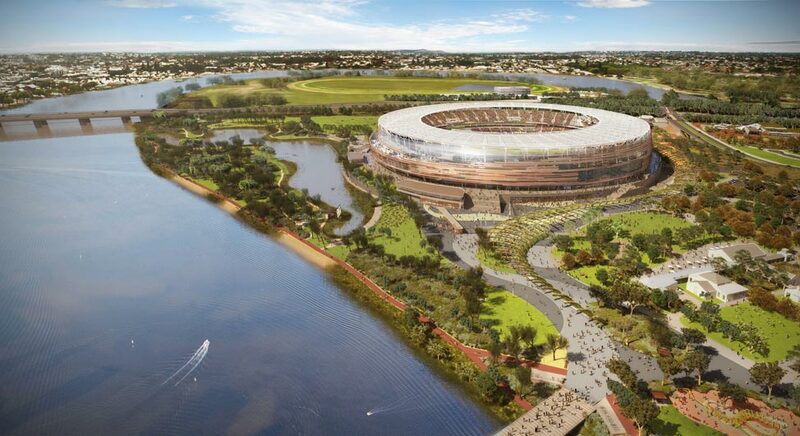 Eventually it was agreed to be built at the Burswood Peninsula, east of the strict centre. 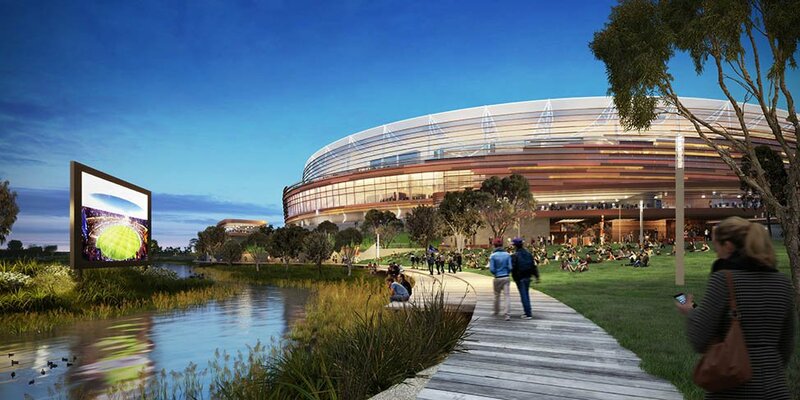 The vast leisure complex planned in this location was estimated in 2012 to cost A$ 902.4 million, half of which would be financed publicly (as part of a PPP project), of which the stadium alone was tagged at A$820.4. 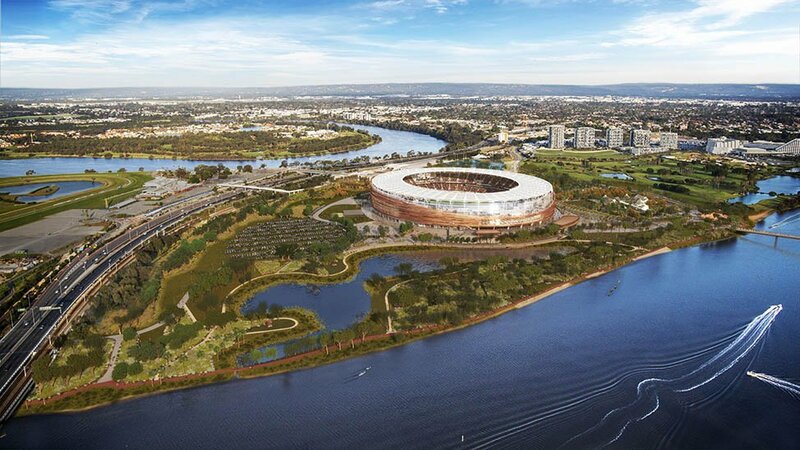 The remainder will allow delivery of public green areas and access infrastructure, including a pedestrian bridge over Swan River and a rapid transport link. 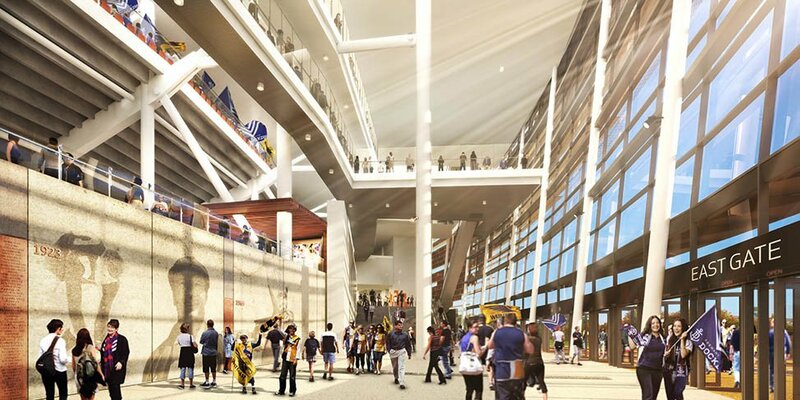 Eventual price proved to be $40 million lower as three bidders were interested in the project. 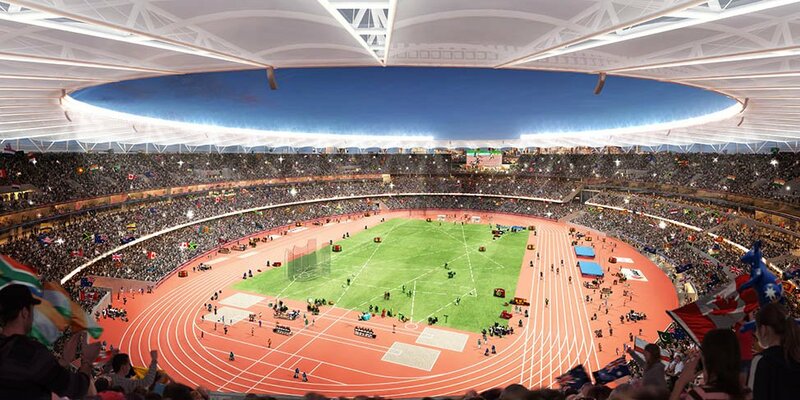 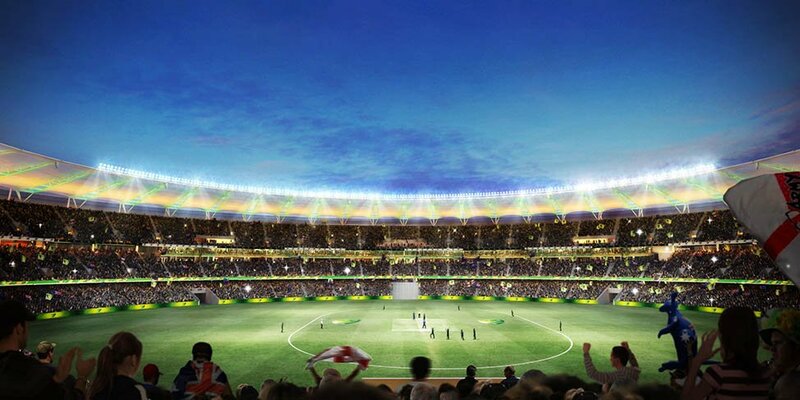 The stadium will have a traditional oval form, optimal for cricket and Australian football, also good for athletics. 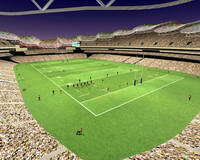 But, with the use of retractable stands, hosting football or rugby is also planned. Three tiers will hold 60,000 people with an option of adding further 10,000 in case of increased demand. 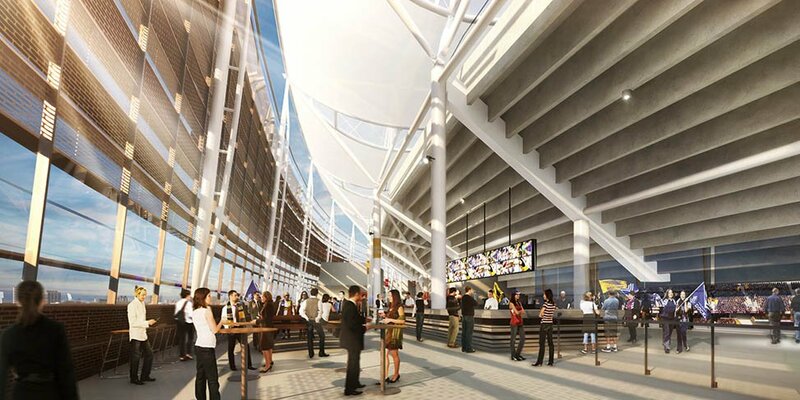 External cladding will consist mostly of anodized aluminum slats. 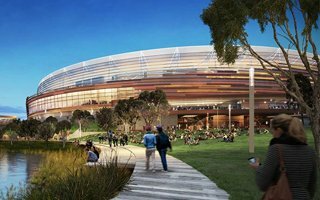 The bronze façade should give a warm and natural feel by day and by night will be illuminated by LED lamps depending on event/host colours. 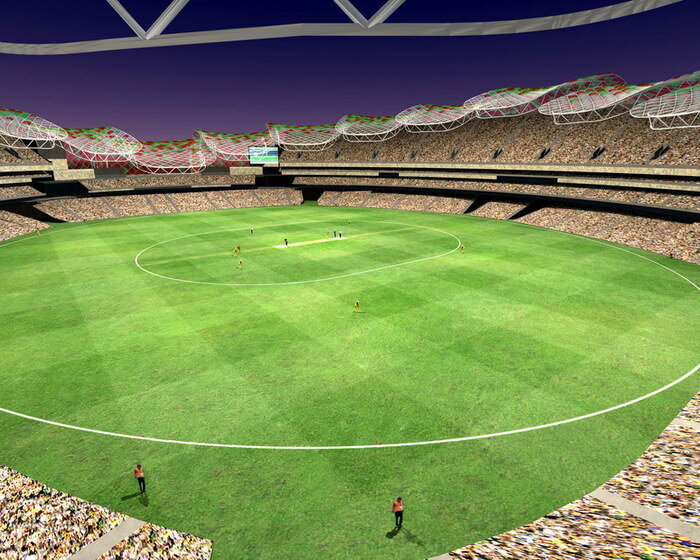 Light membrane canopy will cover 85% of the stands, staying in line with local climate. 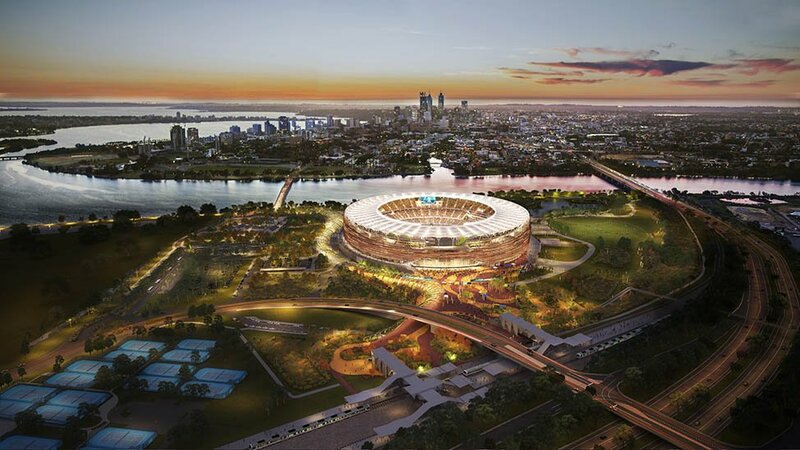 The stadium was promised by West Australia’s authorities to represent the country’s highest comfort levels with wide seats, 70 concession stands, almost 1,500 toilets and over 1,000 TV screens spread over 5 levels of the building. 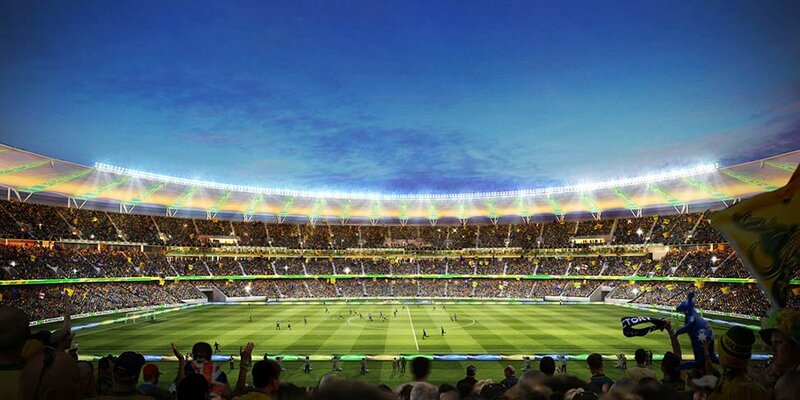 Construction should start in late 2014 after preparatory works took over a year beforehand. 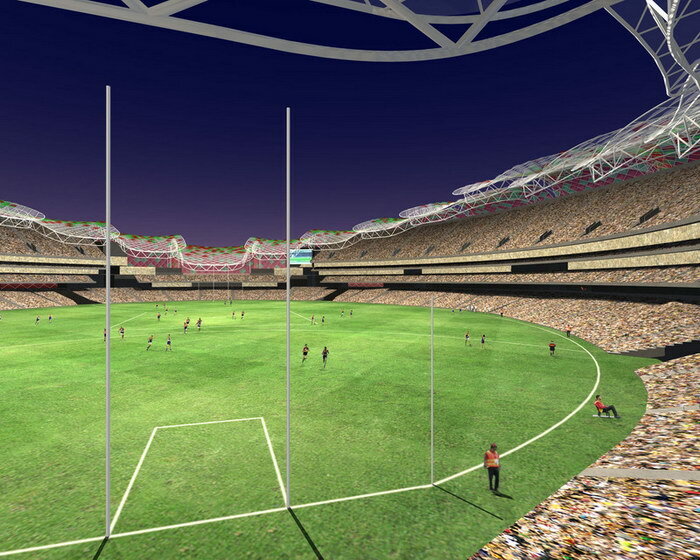 The entire structure should be ready for opening ahead of the 2018 AFL season. 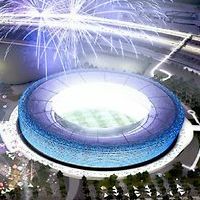 With immense budget and years of preparations, it's no wonder well over 100,000 people already visited the stadium to see it first hand. 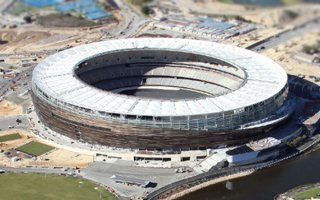 Optus Stadium is Australia's most expensive football venue ever. 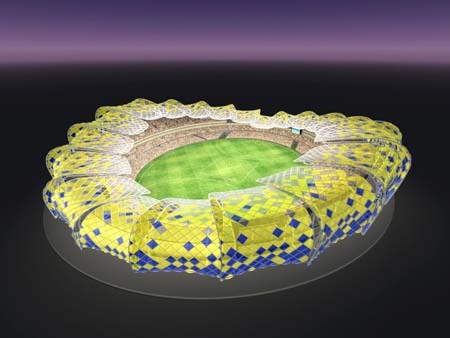 Now it's also on StadiumDB. 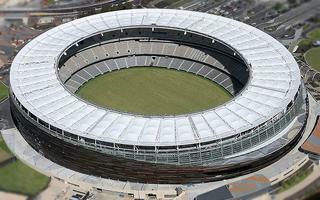 Australia’s most expensive stadium had half of its future roof and over half of the seating bowl. 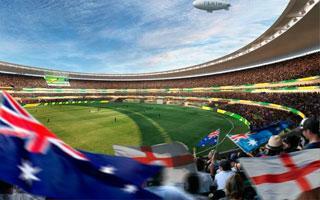 It will also house the southern hemisphere’s largest screens. Impressive? 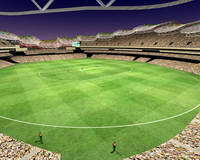 To us it is. 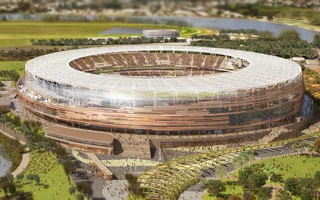 The new Perth Stadium will be operated by the same company that runs ANZ Stadium in Sydney. 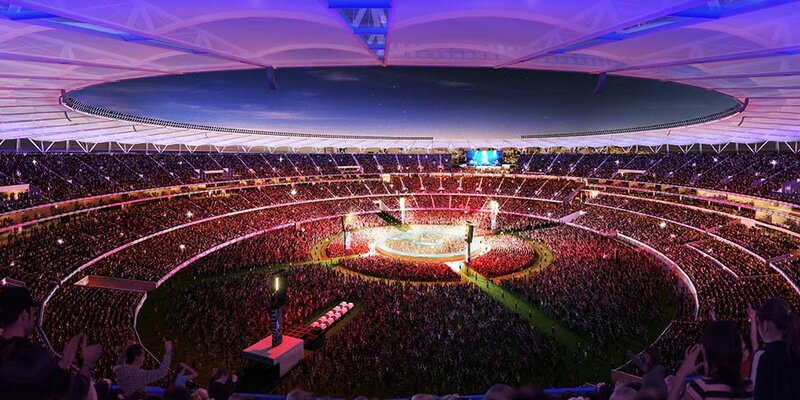 Up to 40 large events annually are planned for the new 60,000-seater in West Australia. 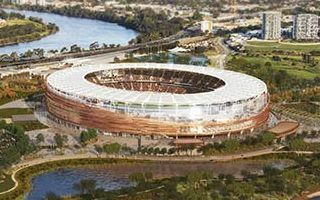 Still under construction, in 2018 the new Perth Stadium will hold the first secured event, a game between Perth Glory and Chelsea FC. 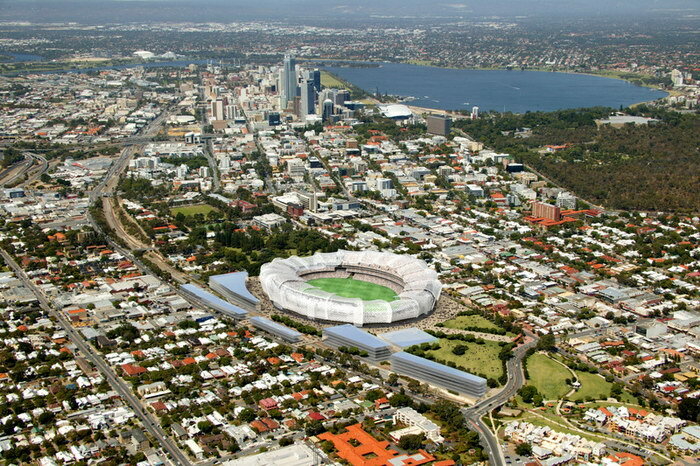 Four companies are in the running to take up the reins of Perth's $1 billion stadium at Burswood. 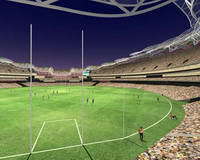 The first concrete slab poured last week, according to WAtoday.com.au. 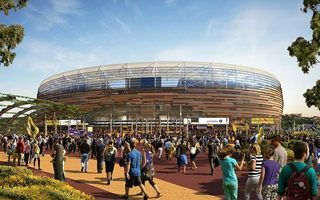 Two big construction firms have been chosen to help people get away more quickly from concerts and sporting events with a new transport-stadium hub in Perth, Australia. 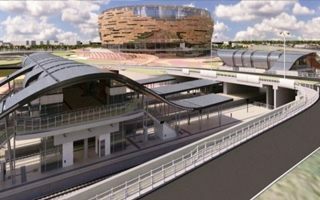 A GCR report. 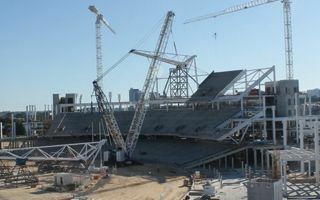 So far there aren’t many photos, but they show very well how immense this project is. 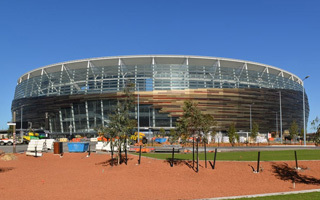 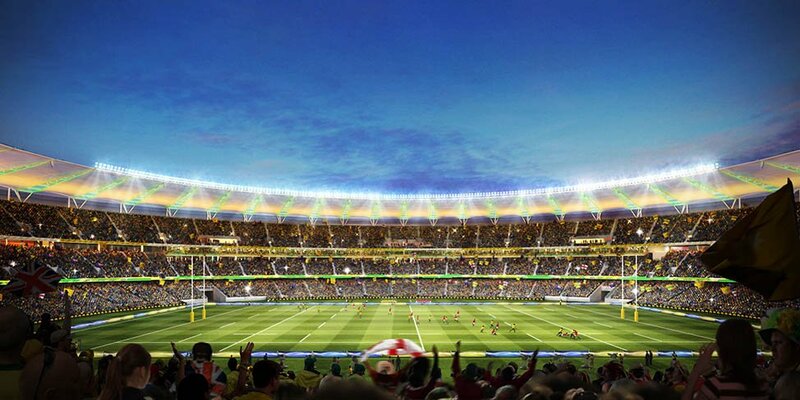 Perth in Western Australia hosts one of the largest ongoing stadium projects in the world. 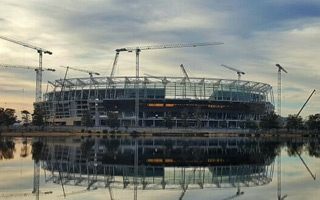 Long-anticipated project finally gets going as we await for the first tower crane to arrive on site in early January. 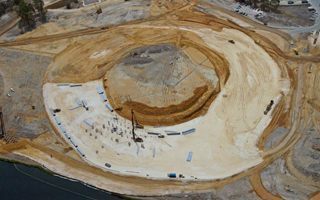 But first piling works need to be done to stabilize the ground underneath. 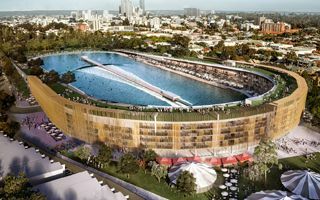 Was it worth the time? 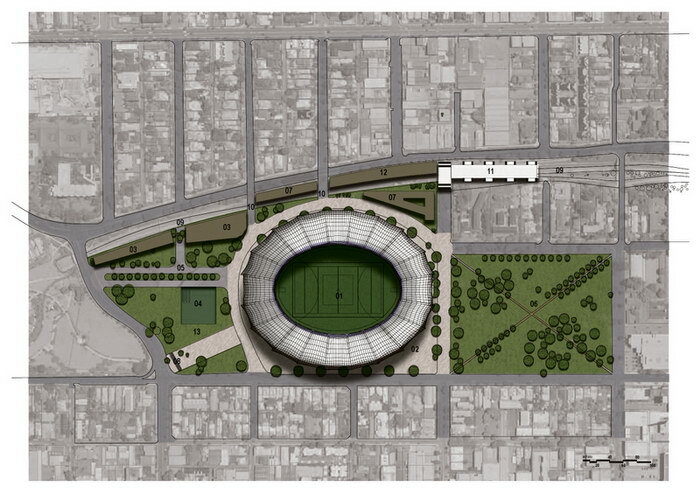 Judge yourselves, but it’s an impressive project no matter the aesthetics. 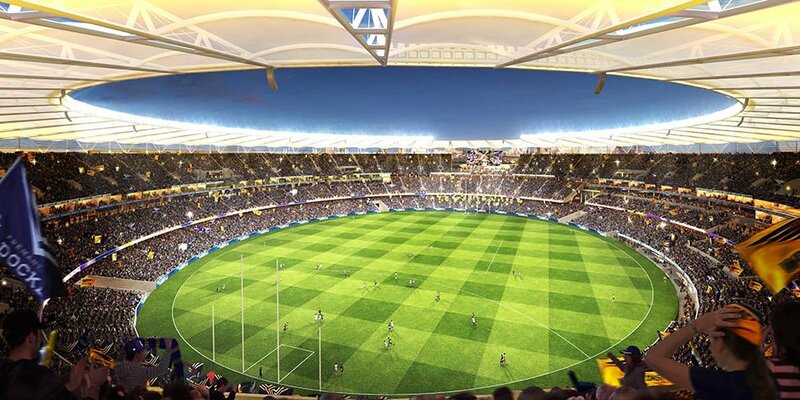 Worth nearly $770 million, this new 60,000-seater will be ready in 2018. 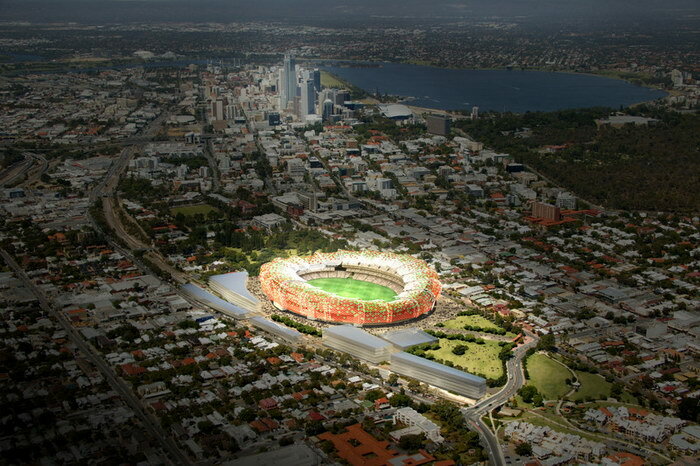 Design, build and operation team under the name of WESTADIUM will be awarded the contract for Perth Stadium. 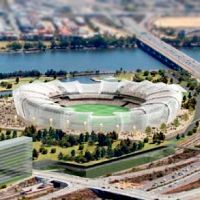 The 60,000-capacity venue should go under construction by year end, while renderings should be released in early summer. 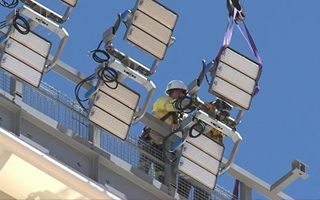 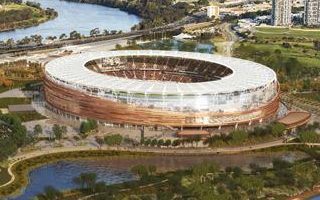 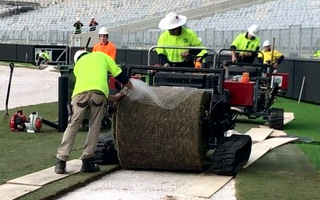 Not only have the preparations for new Perth Stadium ended, they were also carried out six weeks ahead of schedule – The West Australian reports. 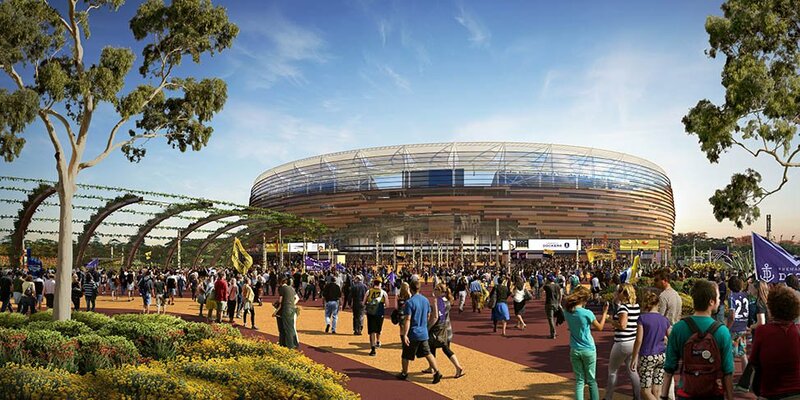 The West Australian government said today it had handed a 2000-page document, containing a list of specifications, to three consortiums vying to build the new sports venue. 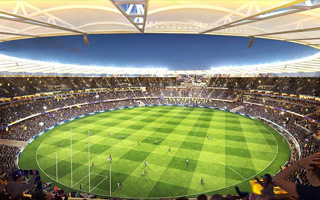 Jumbotrons, 2,000 TV sets, WiFi – check the list of expectations.